(1) 5/8" x 8 Foot Copper Clad Ground Rod. Comprises enough material to ground at 1 Tower Base Section Joint Bolt. Terminal Lug does NOT come compressed onto the copper wire from the Factory. Note: These are REV. F Tower structure Grounding Kits. The NEW REV. 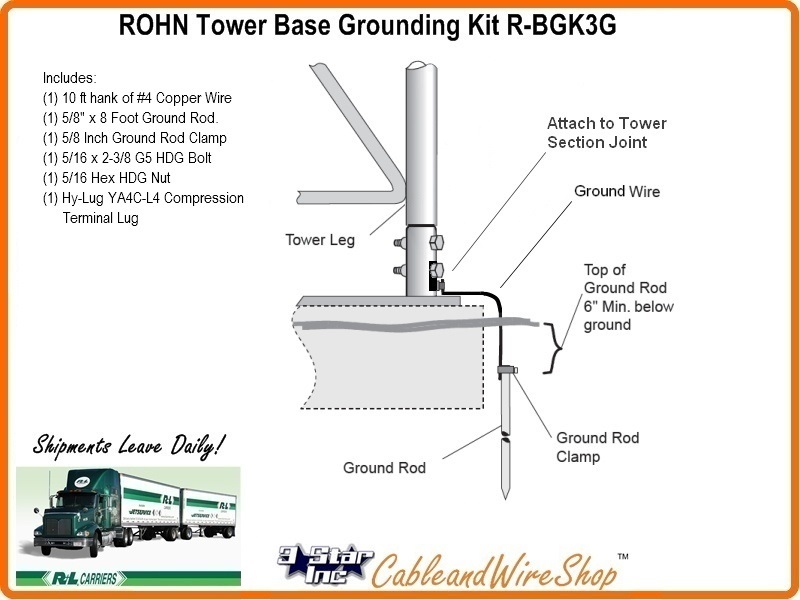 G Tower structure Grounding Kits use wire rope vs. the solid copper found here, in addition to revised clamping methodogies.